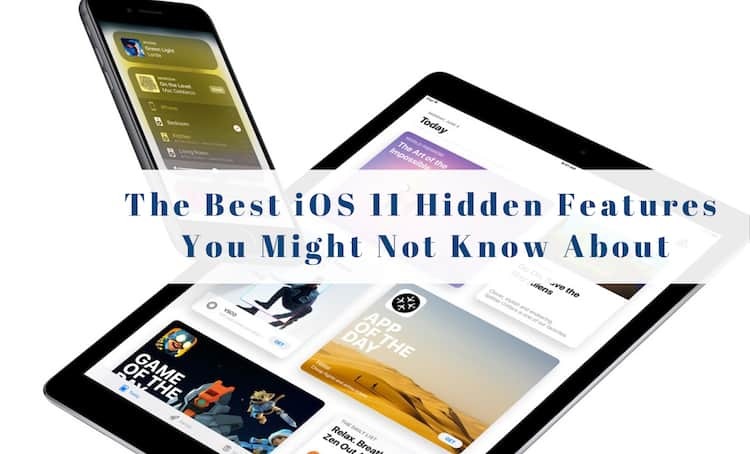 iOS is one of the most advanced mobile operating system that powers the devices like iPhone or iPad. Every iOS device owner wait for the next version of iOS and this time newer version will be released on September 13th. This announcement was made on the same day when iPhone 7, Apple Watch 2 and EarPods were launched, i.e., September 7th. 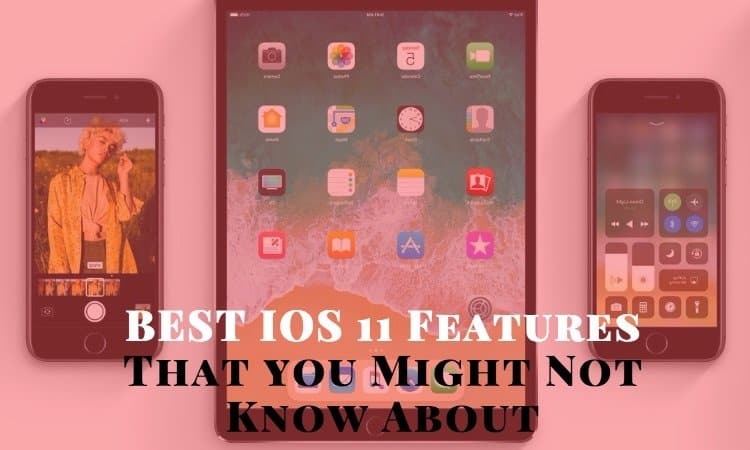 iOS will come with a variety of new features such as expressing yourself in Messages through stickers, animations, own handwriting or redesigned Music App or updated Maps apps, etc. 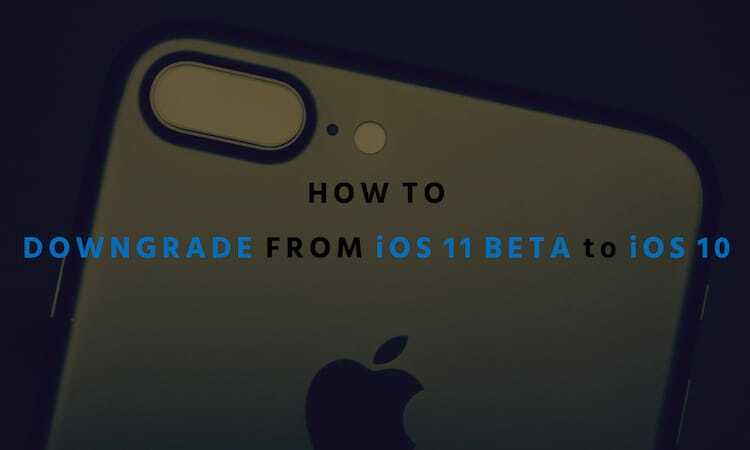 While, there are many iOS 10 features that will increase your iPhone efficiency and make it more powerful. Yesterday, we came up with an article showcasing new iPhone 7 features that makes it apart from its predecessors. 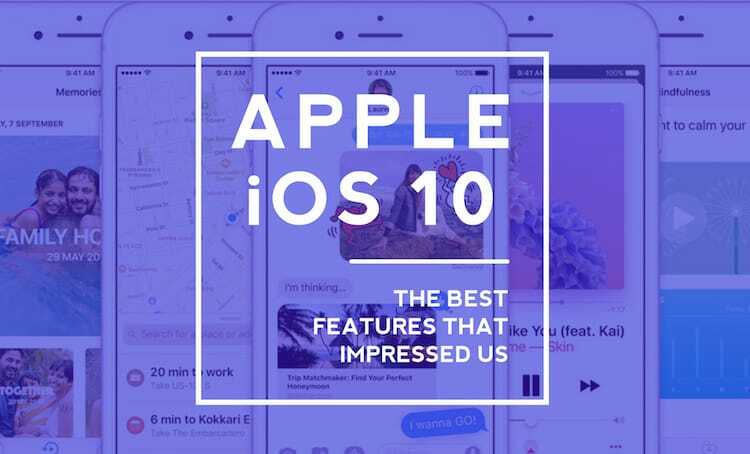 Today, we will be focusing on the best iOS 10 features that impressed us the most. 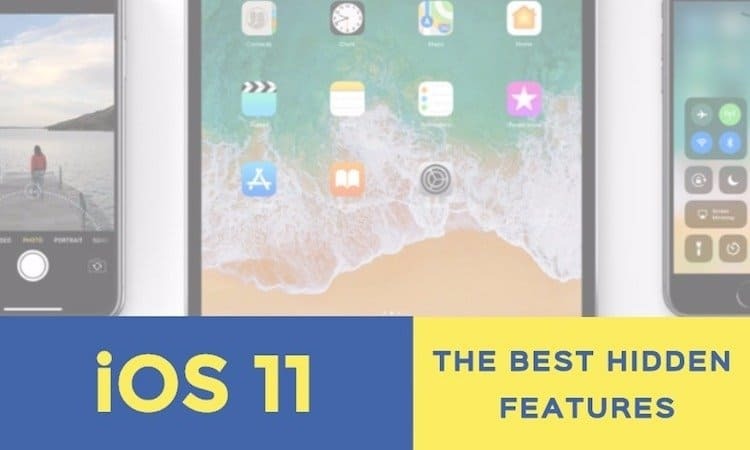 So, without further adieu, let’s have a look at some of the best iOS 10 features that we liked the most and you can tell us your most favorite iOS 10 features in the comments section below. In iOS10, iPhone will respond by lighting up and taking you to the home screen when you pick it up due to its Accelerometer. Lock screen has also been redesigned as you can see the 3D touch enabled notification over there. 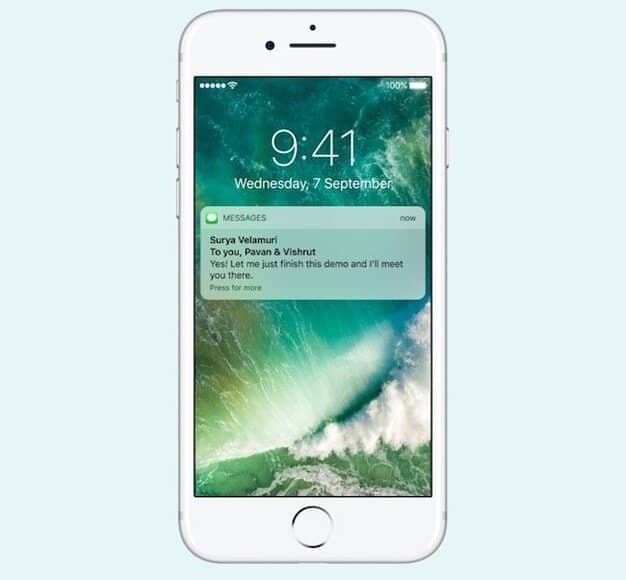 Notifications do not darken the entire screen and you can quickly respond to a message without leaving your lock screen. These facilities are available for third party apps as well. This one is the most favorite feature that I liked because now I don’t have to open the full app after seeing the notification. 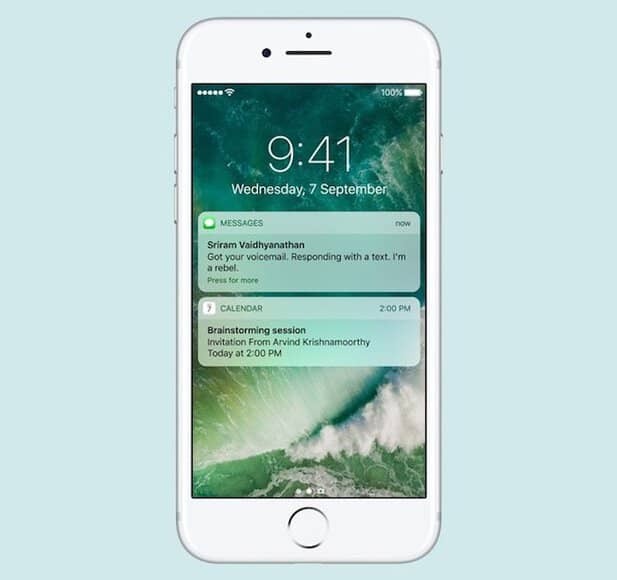 You can easily respond to a message directly in your notifications or use 3D Touch to preview images and videos. This will surely save a lot of time. Swipe from the bottom and you will find that the look of Control Center has totally changed. Previously, there were music controls which are removed from the control center and you can access it while swiping to the left. This means, that Control Center is left with five options, i.e. 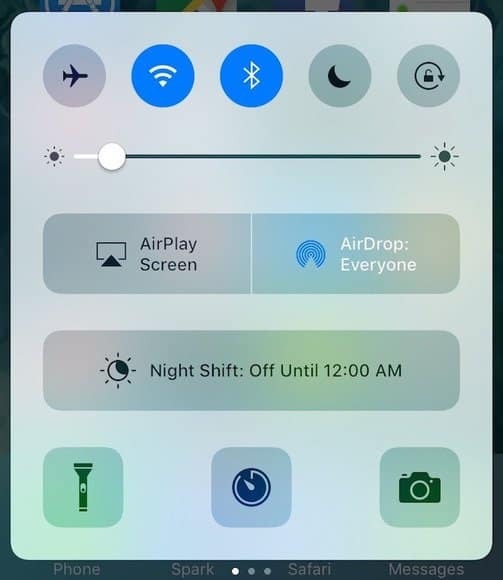 AirPlane Mode, Wi-Fi, Bluetooth, Do not Disturb, Brightness Slider and Orientation Look. AirPlay is now “Airplay Screen”. 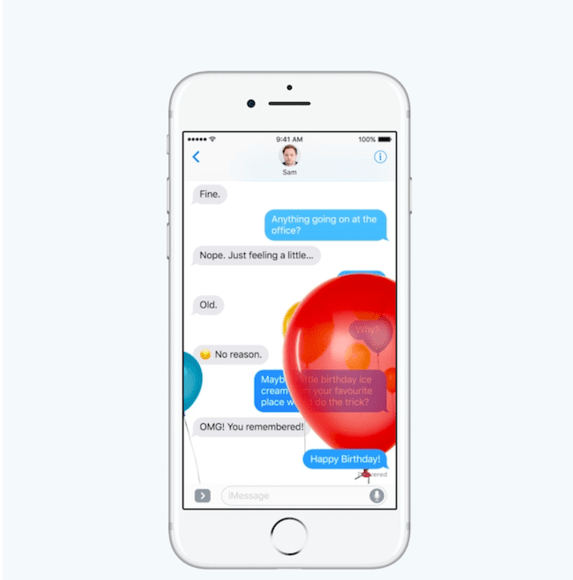 Animations like fireworks and balloons can be included in your messages in iOS 10. You can also send handwritten notes and use Invisible Ink to keep your message secret. There are many features that make messaging a lot easier for you such as ‘Automatic Suggestion’ for easy replacement of a word with 3 times larger emojis/ideograms that will appear in the text line and you can replace every word by appropriate emoji by just taping on that. Not just this, Siri will suggest you an answer to reply back while messaging. You can watch videos and get website preview within the message. 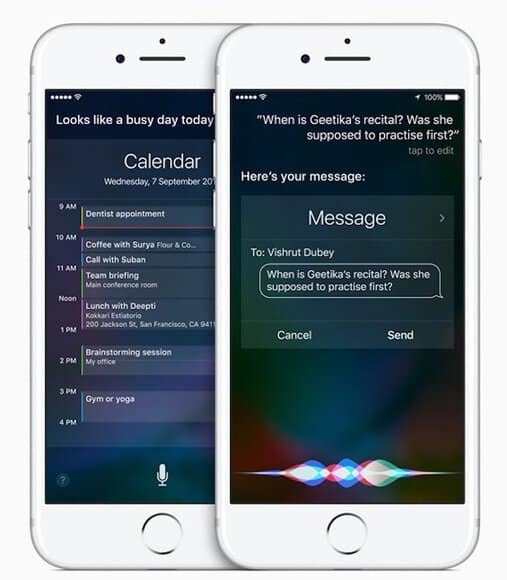 In iOS 10 users can do more with Siri as it can work with third-party apps now and let users interact with apps directly with their own voice. 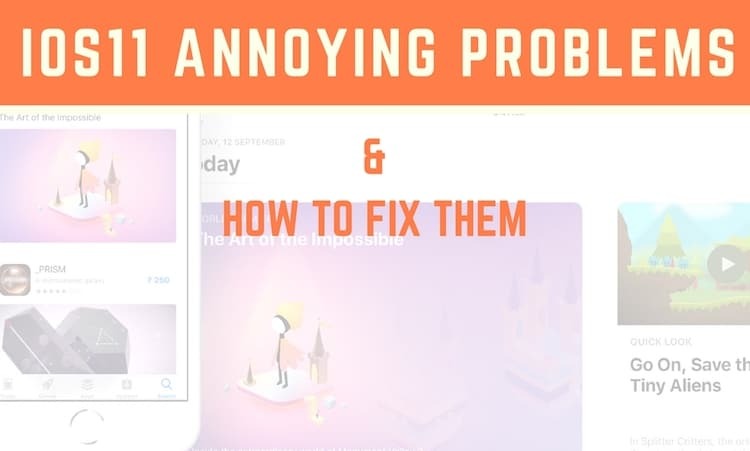 Developers can design their apps to cope up with Siri for search through pics, making personal payment, controlling CarPlay and start or stop working out. Support of Siri would be available to many apps such as WhatsApp, Shutterfly, Uber, Map My Run and RunKeeper. The new design of Maps has made it simpler and easier to access. Navigation and clarity is improved and reflects when you find a place or zoom in/out. You get suggested destinations when slide up, it will show you the place in the map according to the time and appointment. Maps suggest you the most preferable route in case of heavy traffic on the regular one. You can sub filter and make your search more specific. 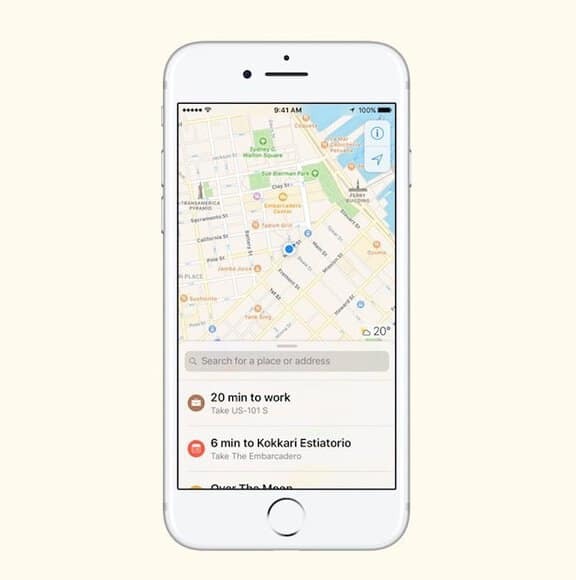 You can use third party apps with Maps to hire a cab or reserve a seat in a restaurant. The Photos app will now use advanced techniques to detect faces, places and other objects. As per Apple 11 billion computations are made per photo so that users can make smart albums. Search option is better and a new tab ‘Memories’ is added to turn your pictures into highlight type reels. 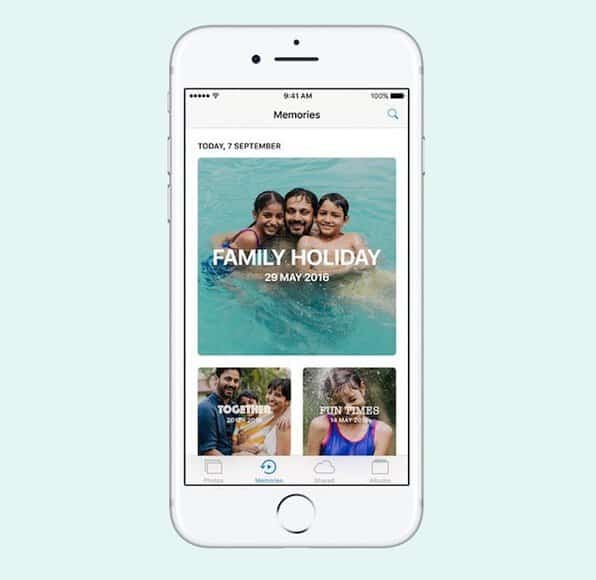 You can include pictures and search by place or people to create Memories. You can later create beautiful movies out of these Memories. Awesome, isn’t? 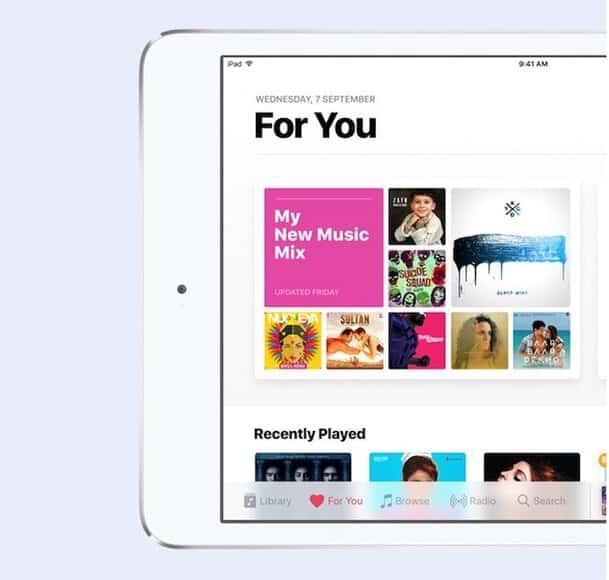 Apple Music looks better now with five tabs ‘For You, Browse, Library, Search and Radio’ so that you can browse playlist, songs and albums of your choice. Once the lyrics of your favorite song get added, you would be able to see that on the screen while listening to the song. Its a new app introduced by Apple and would be available on the lock screen. 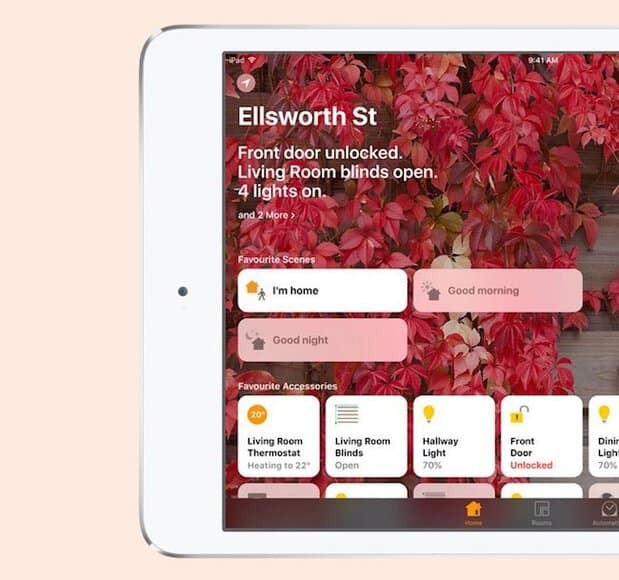 This app is completely dedicated to smart home and is a one stop shot for home kit accessories with 3D touch shortcuts which can be activated by a Siri command or a single tap. Some of the features in this app are really mind blowing, for example, if you press the good night button, it will turn off the lights, locks the door and draw curtains, you can add ‘good morning’ Siri Command to make your home ready when you wake up. So, these are the best iOS 10 features that we loved the most. We are sure you’ll be waiting for September 13th to upgrade your iPhone or iPad to iOS 10. 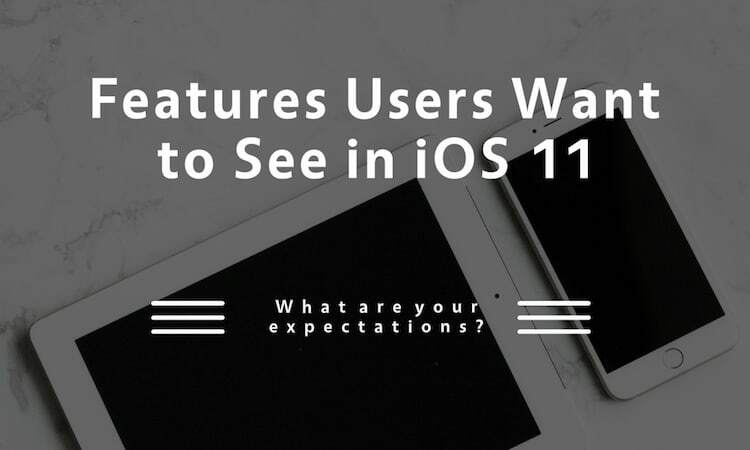 Once you upgrade, do share your favorite iOS 10 features with us.